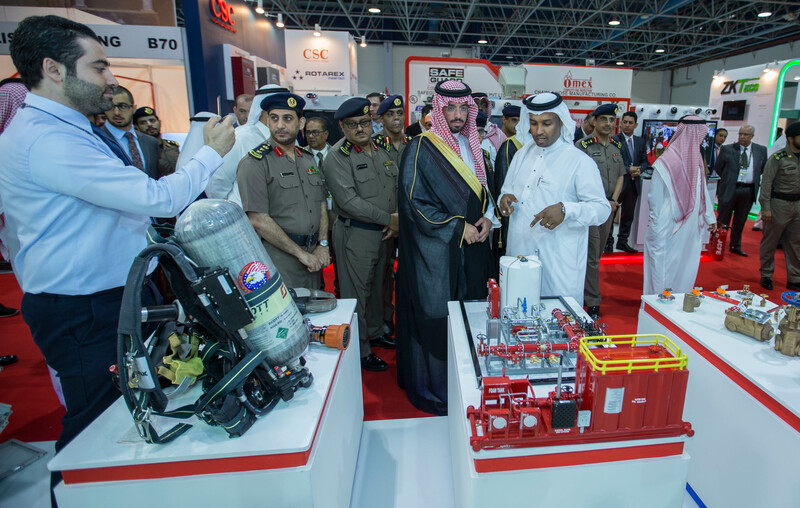 Jeddah, Saudi Arabia: The inaugural edition of Intersec Saudi Arabia got underway today (2 May), with 170 exhibitors from 26 countries zooming in on the Middle East’s largest commercial security and fire safety market. Running for three days at the Jeddah Centre for Forum and Events, Saudi’s foremost security, safety, and fire protection trade show targets the Kingdom’s burgeoning market where, according to analysts Frost & Sullivan, the spend on commercial security, homeland security and fire safety was worth US$5.4 billion in 2016, comprising a 42 per cent share of the Middle East market that year. The impressive opportunities are underlined by a full house of leading manufacturers and suppliers this week in the Red Sea port city, with the show’s 22 official launch partners at the forefront global players eager to boost business opportunities. 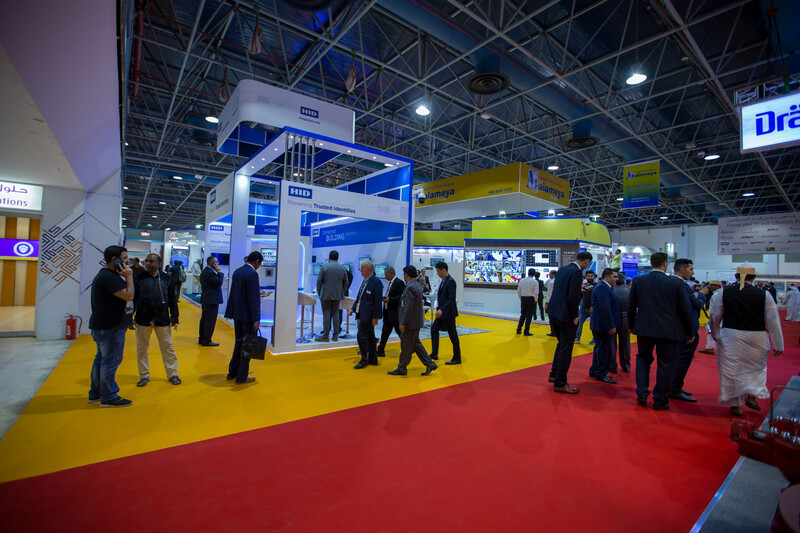 With 73 per cent international participation, more than 500 brands, three country pavilions, and an enlightening three-day conference programme, Intersec Saudi Arabia caters to growing demand for an integrated platform providing crucial access to one of the world’s most promising markets. Jointly organised by Messe Frankfurt Middle East and Al-Harithy Company for Exhibitions (ACE Group), Intersec Saudi Arabia is held under the patronage of HRH Prince Khalid Al Faisal, Advisor to the Custodian of the Two Holy Mosques and Governor of Makkah Region. The show was inaugurated today on his behalf by HH Saud Bin Abdullah Bin Jalawi Al Saud, Deputy Governor of Makkah Region for Security Affairs. Ahmed Pauwels, CEO of Messe Frankfurt Middle East, said: “We’ve been building our portfolio of world-class exhibitions in Saudi, and we’re delighted to add Intersec Saudi Arabia to the mix, bringing the Kingdom’s security market to the doorsteps of key stakeholders, where international players can increase their market share, and Saudi visitors can keep up-to-date with the latest technologies and services available in the market. 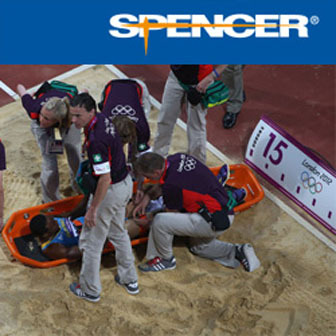 “A vast product range will ensure all visitors this week will be privy to the latest innovations and solutions to protect their critical assets and people, or improve their bottom-lines, whether through cutting-edge video analytics, access control and fire detection, or the latest fire-rated clothing and Personal Protective Equipment,” added Pauwels. Hadi Al-Harith, the CEO of ACE Group, added: “It’s with great pride and pleasure that we announce the premiere of Intersec Saudi Arabia 2017 in Jeddah. This will be the first security exhibition of its kind in the Kingdom, under the patronage of His Royal Highness Prince Khaled Al Faisal. Intersec Saudi Arabia’s launch partners include globally recognised names Hikvision, Dahua, Axis Communications, Nedap, Milestone, Bristol, CP Plus, dormakaba, Draeger, Genetec, Hanwha Techwin, Harco Group, HID, NAFFCO, Pelco by Schneider Electric, Promise Technology, Smiths Detection, BSIA, SAS Systems, and Nitin Fire Protection Industries. They’re joined by key local players Al-Alameya Group and ZMR Technology Distribution. The annual three-day event also features country pavilions from India, China, and the Czech Republic, while the Safety Design in Buildings Conference on 2 May, and the Intersec Middle East Security Forum from 3-4 May puts a dual spotlight on security upgrades and construction safety as part of the Kingdom’s Vision 2030. Genetec is a leading provider of IP video surveillance, access control and license plate recognition solutions. The Canadian company is throwing the spotlight on a comprehensive product portfolio which includes one of its latest solutions, Genetec Retail Sense. Firas Jadalla, Regional Director for Middle East and Africa at Genetec, said: “Genetec Retail Sense allows retailers to use their existing security infrastructure to transform the customer experience. It presents a key line of core modules like visitor counting, conversion rates, queue management, heat maps, directional analysis and face capture. “With Retail Sense, retailers will be able to unlock the intelligence that allows them to better understand consumers, make real-time informed decisions and increase both consumer engagement and in-store profitability,” added Jadalla. Elsewhere, Promise Technology is eager to impress with its complete range of server and storage solutions specifically made for video surveillance. John van den Elzen, General Manager of the Surveillance Business Unit for Promise Technology said: “From network video recorders, analytics servers, management servers, external storage to high-capacity surveillance storage blocks, we’ve a wide range of solutions for projects of any size. Intersec Saudi Arabia presents a comprehensive overview of the entire safety, security and fire protection industries covering commercial security, information security, perimeter and physical security, homeland security and policing, fire and rescue and safety and health. UAE-based NAFFCO, a world-leading manufacturer of fire protection systems, firefighting equipment, and safety & security systems is one of dozens of fire and rescue exhibitors eying a slice of a Saudi market that spent US$975 million on fire-related products and services in 2016. American manufacturer Mueller is also out in force with its Fire Hydrants and Gate Valves. Martin Topps, Senior Director for the International Division of Mueller, said: “The Saudi Arabia Fire Protection market is very important to our business, and is our largest market in the Middle East. Intersec Saudi Arabia is officially supported by the Saudi Ministry of Health and the Saudi Safety & Security Department, Jeddah Police and Jeddah Civil Defense. The dedicated platform is one of ten Messe Frankfurt-organised trade fairs and events dedicated to the worldwide safety and security sector, and the second in the Middle East after the Group’s flagship show, Intersec in Dubai, UAE. More information is available at: www.intersec-ksa.com.